A gaffe, a plot twist and a clear winner. 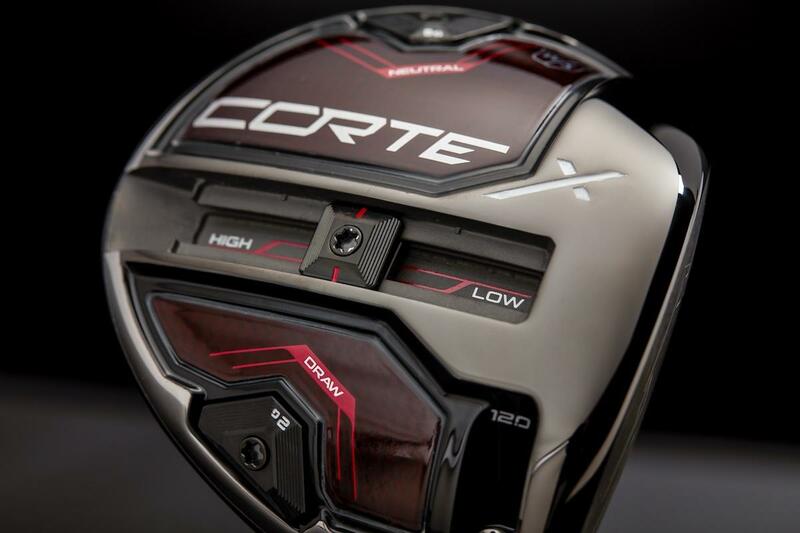 Can the $499 #DriverVsDriver champ Cortex earn @WilsonGolf a seat at the 2019 driver head table? So there you have it, Cortex it is. Get your cynical snarkiness out of the way now. As you’ll recall, the MyGolfSpy boys tested both the Cortex and Rozwell (and two others) in Episode 5, and both Sam and Adam predicted Cortex would be the one. We’ll be getting the final version of Cortex at MGS headquarters later today, so you can bet we’ll have some #Datacratic feedback for you asap. But for now, let’s take a closer look at the driver that put $250,000.00 in designer Evan Hoffman’s pocket. We’ll have more detail on the Cortex in the coming days, but it was pretty clear throughout the program that it was the ball speed belle of the ball. Even though Wilson’s Tour players emphasized looks, feel and sound, what got them most jacked when comparing the Cortex and the Rozwell was ball speed, along with launch angle and spin. Cortex had the edge with the Tour players as well as with judges Jeremy Roenick, Rick Shiels, and Clarke. Both Roenick and Shiels raved about the looks of the Rozwell, but all three judges were clearly in favor of the Cortex in terms of performance, feel and especially – given the Triton experience – sound. Because all technology needs a name (the cooler-sounding the better), the Cortex features Fast Cage Technology. Wilson says it’s a “weight-tuned titanium internal structure, with 44% of its surface area covered in Carbon Fiber Panels. One of the key changes made to Cortex between Episode 6 and the finale was to use less titanium and more carbon fiber. The sliding weight in the Cortex isn’t new (TaylorMade M1, Mizuno JPX 850/900), but it’s something new for Wilson. Not unique, but it does what it’s supposed to do: help you dial in spin and launch. You can also make it draw or fade bias by switching the 2g and 8g weights between the heel and toe positions. Wilson went all out with the stock shaft – the Fujikura Atmos Tour Spec: red for high launch, blue for mid launch and black for low launch. We can debate the price till the cows come home (and we will), but the Cortex hits retail today at $499.99. 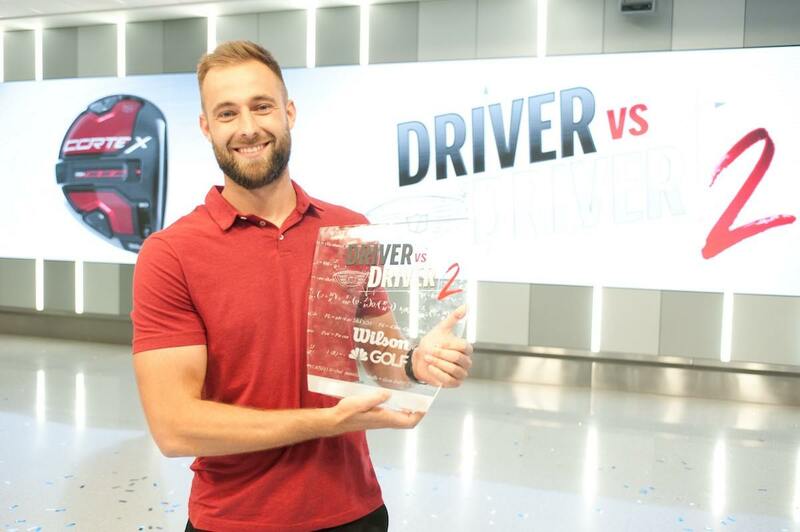 That’s pretty much the going rate for any OEM’s premium driver, and $100 more than Wilson’s C300, which tested out very well in this year’s Most Wanted Driver showdown. It was the 2nd lowest spinning driver in the test, right behind the Wilson D300. Clearly, Wilson knows spin. There was quite a bit of buzz on Twitter yesterday that Wilson might simply split the baby and sell both the Cortex and the Rozwell. It was a nice thought since both drivers performed well and most viewers seemed to like both designers. Wilson didn’t do that, but what they did do made for much better television. I know we’re all supposed to be tough, cynical golf critics, but hell, if you watched the whole series and had half a heart, you’d kinda liked Tim Slama. The 21-year-old Oregon State University engineering student said his dream was to be a golf club designer. The kid did look legit crushed at the end (reality shows always show you the loser’s reaction), but in a truly classy move, Wilson told Tim they’d be paying for his senior year of college and that he’d have a job waiting for him after graduation (which, given the show’s timing, should be this spring). I’m not crying; you’re crying. Editor’s note – the finale was taped back in August. In the meantime, Tim wound up accepting a job in design engineering at Nike’s world headquarters in Oregon. You can read about it here. It really wouldn’t be Driver vs. Driver without something going wrong. In Season 1 it was the Triton, in all of its super-adjustable glory, being judged non-conforming the week after the finale and after it had been in stores over the Thanksgiving/Black Friday weekend. This time, it was a friggin’ pop-up ad. For its part, Golf Channel issued the requisite Twitter apology within 90 minutes of the show’s close. Sorry. 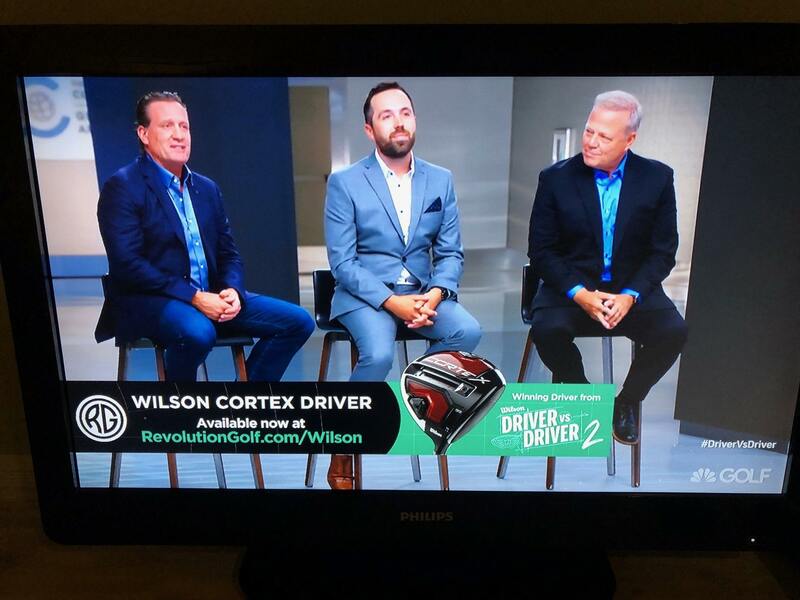 We apologize for the technical error during #DrivervsDriver 2 finale that revealed the Cortex design had won, becoming @WilsonGolf‘s latest driver. We’ve fixed upcoming re-airs. Good news: Cortex is now available for sale online and in stores tomorrow. Somewhere, Steve Harvey is smiling. And somewhere else, there’s a woodshed that’s open for business. It’s pretty clear to anyone who watched both, but Season 2 of Driver vs. Driver was head and shoulders above Season 1. Tim Clarke promised we’d see more golf and less fluff, and we did. We got to see performance, and we got to see behind the R&D curtain a little. True design geeks and gearheads would probably like to have seen more, but it is what it is. The $499.99 price tag for the Cortex is bound to spark some spirited discussion. That’s the going price for a premium driver with a real deal shaft, but will golfers give it the time of day compared to the 2019 offerings from Cobra, Titleist, PING, TaylorMade or Callaway? 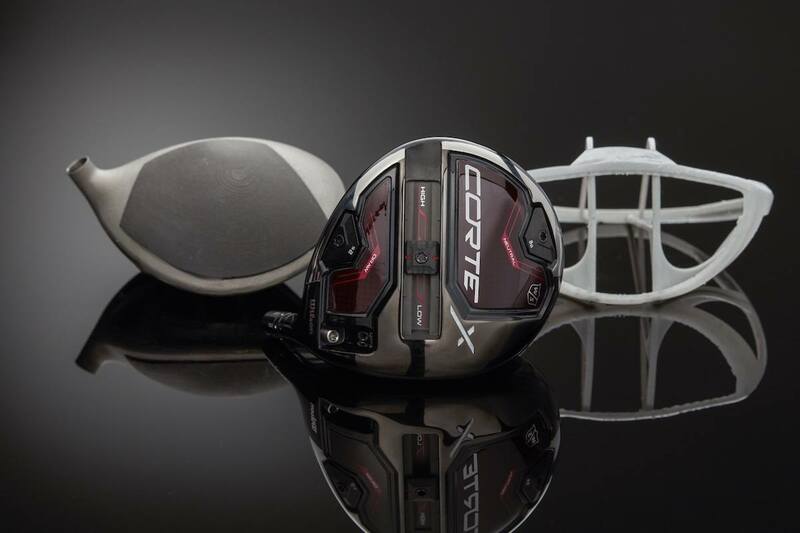 It’s hard for any of the challenger brands to crash the Big 5’s driver party, reality show or no reality show, so the Cortex will need to bring some serious juice to the table in order to get your attention. That $499 does include some nice no upcharge options. Along with the full array of Atmos Tour Spec shafts, you can also select the EvenFlow Black or Blue or the HZRDUS Black or Red from Project X, or the UST Mamiya Recoil. In addition, a full array of Lamkin, Winn, and Golf Pride grips (including the Align) are available, also at no upcharge. Cynics, of course, will bleat on, crying abomination, joke or waste of time. But as we said when Season 2 launched, Driver vs. Driver isn’t about the driver, not really. Yes, there’s a driver, and by all accounts, it looks pretty damned intriguing. But in the big picture Driver vs. Driver is about branding for Wilson Golf and Wilson Sporting Goods. And you don’t measure ROI on branding in weeks, months – you measure it in years. And for what it’s worth, there are more people talking about Wilson Golf this morning than on this date five years ago. You can check out the Wilson Staff Cortex starting today at most retailers, and it’s available on Wilson’s website. Not worth 500 sorry. Maybe 350 tops. It’s just another attempt by major corporations to gauge their customers. But then again, the white collar golf world loves to buy the newest hottest thing to show off to their cigar smokin buddies. Sorry, no amateur in the entire world needs a $500 driver. If you think any driver is going to make you a better golfer, get your head examined. All the marketing hype in the world is never going to replace the fact that without a solid swing, no driver is going to help you. There is so much marketing fluff on TV these days it is just sick. Making all kinds of ridiculous claims to solve every golf swing problem there is. Wilson should ask themselves, who exactly do they think is going to buy a $500 driver? The recreational golfer? Weekend golfer? No, no and no. Honestly, have you ever tried a new driver that gave you more than 10 to 20 yards max? And what does that additional yardage do for amateur? Nothing. Did you win any PGA tournaments and get paid? If you are not hitting a driver 280 to 330, according to Hank Haney, you shouldn’t even have a driver in the bag (Use a 3 wood). The problem these days is everyone on the marketing side is in cahoots with the OEM’s to make money for themselves. Golf is declining because of these outrageous costs. Does an amateur that hits a 240 yard drive need a $500 driver, when the odds are he won’t even be near the green with his second shot? No way. The practical side of things is this $500 driver will not help anyone to the tune of $500 worth of help. The Triton went into the bin in less than a year and that was a $400 driver. How come no one is asking the question why the Triton didn’t make professional drivers out of everyone? More marketing hype designed to con the general golfing public into thinking they can be the next big thing. Wrong and unethical in my opinion. I just bought (4) Taylormade 320 Ti drivers off EBAY in mint condition for less than $20 each. Can hit that driver long and straight, every single drive in the fairway. Work the ball either way. The 320 Ti was once the leading driver on the PGA tour. You don’t have to buy into the marketing hype, find something that will help you game and use the save money to try some better courses. Absolutely no ever said you have to buy a $500 driver to play. your right no one needs a driver that expensive, but no one needs exotic cars or needs giant homes but you see those around. If people want to spend that kind of money who cares, if that makes them happy let ’em do it. If your not hitting a driver 280-330 yds. maybe you should be playing from the shorter tees? The game of golf is as expensive as you want to make it, the only expense you don’t have control over are green fees or memberships. Everything else can be had on a secondary market for a fraction of the price. I could probably put together a bag that cost as much as the driver($500) and play just as well as I do now but I happen to like nice shiny new things. Heck my first set of clubs I bought were a knock off set I purchased from a pawn shop for $75. (quick note I was the guy who thought golf was a joke growing up, always saying it was a hobby not a sport, until I tried it) Here I am still playing golf years later even though the price of equipment as sky rocketed. Kudos on finding a driver you love and being able to get multiples cheap. I personally see no innovation in this driver. Driver vs driver is a fantastic concept and it brought us a very nice driver in the Triton. However this driver has nothing going for it besides so much carbon fiber it makes me sick. The weight movement is un-original and the over all concept is boring. I don’t find bashing on this driver enjoyable I simply would like a show that claims to be innovators innovates rather than copy the existing market material. Having read nearly all the comments on the new Wilson driver costing so much, here’s a thought. If the major club manufacturers weren’t allowed pay the touring pros for playing their clubs, we might all start using clubs that actually suit our ability and age. Brands wouldn’t matter. The Country Club braggards would be made to look foolish. And club prices would immediately come down. Maybe they’ll get lucky and find a gold nugget, but it doesn’t seem very likely. I’ll be very interested to see some unbiased testing against the leaders. C’mon MGS, let’s see those numbers! I love how obtuse this take is. People think the contestants actual developed these on their own? They might have started with the concept, but they worked with the Wilson team to make them functional and perform. Also, this show has to be a gold mine for Wilson from an R&D perspective. Not only are they receiving new concepts from crowd sourcing, but they got all that info from testing different concepts on an accelerated rate. No chance they normally take that many concepts that far through the process. Plus I’m sure their R&D budget gets inflated because of this massive marketing opportunity. I’m amazed at how many experts in the golf club business there is in here. If you haven’t tried Wilson Staff equipment lately, you don’t know what you are missing. I would predict an uptick in interest in Wilson Staff products and a couple more bigger name tour guys playing it. My first complete set of Wilson clubs cost less than this driver. Granted, it was the 1960s, and they were phenomenal. I’m back playing the FG V6 irons and their newest driver and 3 wood, plus an assortment of their wedges, for which I paid list price, but this $500 driver will make me wait a year until it’s discounted. Frankly, I do that with all my clubs now. Plus, you have a year or more to let the equipment marinade to see if the initial reviews were accurate or just pandering to the hype of a new release. Btw, in Canada the price at the local Golftown is $599.99. I’ve tried it in the simulator and it hits well. I’m not hung up on the price, but will this driver improve my distance being a senior golfer with a 16 handicap? Would really like to try it out before buying. I think this driver is a sold performer. However, if your driver is less than three years old, I don’t think a change is warrented. The price matches the technology in the driver but because of its competition, sadly, it will not sell. If you do decide to shell out 500.00 dollars make sure to get fit. This driver will not work for players with 14headcovers in the bag. I am quite disappointed. There is no originality in this driver. Other companies have struggled to put innovation in their flagship product each model year. Driver vs Driver should be all about new innovation and performance packaged in a good design driver. Wilson CorteX has nothing in it! Golf in Australia is declining as each year passes yet the costs of playing the game are increasing .500 USD is outrageous ! Manufacturers should be trying to grow the game rather than just their bank accounts! Re-airs of D vs. D 2 may have fixed the pop-up spoiler just before the ending but there is a Cortex ad about 10 minutes into the 60 minute program. I’ll save $ and get a better TEE driver. So what makes this driver overpriced compared to those other low spin drivers out there now? If you take the labels off this driver what do you find? You get a driver that has a carbon crown(some carbon in the sole), movable weights for shot shape bias, a track and weight system to control spin/launch along with an adjustable hosel plus a plethora of no up-charge premium shafts. Now if you apply these kind of technologies to any other brand what do you expect to pay….probably that $449-499 range if not more depending on the shaft added. I think it is probably a fair price to ask for when you have all that proven tech. Now as a whole i think driver prices have maybe gotten out of hand but that’t the market we live in today, heck premium shafts go for $500-600 and some cases over $1000. If it performs as well as others do i don’t see a problem with them asking for $499. We are made to believe in the new clubs on yearly basis. The Gold list club bought previous year suddenly becomes useless, defective (without being mentioned), dysfunctional and a piece of junk. You are offered about 1/5 of what you paid as a trade for a club in a good condition. Golfers spend billions thinking their game will improve exponentially with the use of the new club. We, the amateur suckers pay for the advertisements and the endorsement money for the pro. Unfortunately, he is not even using the same club. The companies blatantly hide this fact. Most pros are custom fitted with their coaches very carefully observing their swings and the Trackman. Every yard matters. If my game improves dramatically with the new club, I will be living in heaven while walking on the golf course on EARTH! The amateur golfers collectively need to boycott this rip-off. Between thousands of new items marketed to the amateur golfers, a few have the real impact. If I play as good as the PRO, he will be out of the job. I will stop practicing medicine (between the HMO rules, insurance company demands, federal GOV. the state requirements, and overly demanding patients, I am ” the nut between the nutcracker). Funny how everyone bashes 499.99, they should sell it at 299 and they would sell so many more…. Well ask Cleveland how well the 299.99 launcher hb sold this year…… yeah, we sold a total of 2 at my shop and sold 150+ rogue drivers at 499.99.. to each there own, lets not forget R7 Quad was 499.99 in the early 2000’s… prices haven’t gone up, they went down, now they are back to where they were in the early 2000’s. If you only read this forum, you would think nobody buys 499.99 drivers. My sales figures would say otherwise. Sold more 499 epic and 499 rogues than we did any callaway driver at 299 or 399. period! Well, it is because EPIC and Rogue are Callaway. Not Wilson. Period. While I am sure the numbers show this is a good club, it seems no different than what is already out there. What the market does not need is another $500 driver, give it a year, and you will get one for a buck and a half. I dont know if the engineers did not put forth the effort on the third place driver, it was leading in performance right up until the next to last tests. And brought some new ideas and a new shape to the market, but Wilson wimped out from taking the lead in a new design over the same old thing. Probably not at this time. Wilson makes good equipment; but they’re chasing a runawy freight train (e.g. Titleist, Mizuno, Callaway, T-M. Ping, even Cobra). Until they get their clubs into the hands of touring pros, and those players start winning, Wilson is fighting a losing battle. They need some positive rub-off to move the needle; and $500 is a tough price-point to command. It’s not hating to say people are bashing a $500 driver… I wouldn’t pay $500 for ANY driver short of it being laser guided! As many have said, there are no less than a dozen $300 and under options out there, all tried and true, that will realistic accomplish what this driver can within any reasonable expectation. There are a glut of last year’s models sitting in used bins at Roger Dunn for less, and I’m pretty sure they mostly still play the same. This isn’t a Wilson hating thing. I like Wilson, I actually kind of liked the Triton for what it was worth (as a <$100 driver), and they do have quality products, but I they've lost it if they think they're going to get market share by trying to go toe to toe with the "big box" manufacturers at the same heavy prices that the "average" golfer is already screaming is too high. Just because Honma and PXG make $1,000 drivers, it doesn't make $500 cheap! Same. I only bought a new TS3 cause I get it at cost. Is any driver so technologically advanced these days that you can’t wait a year until the price comes down to purchase it? Seriously people, unless you are the kind of person who has to have the latest and greatest, just wait. New or used, that must have driver will be just as good at a lower price next season. So this is not a popular position with manufacturers, but golf is expensive enough without continually falling for the marketing hype that comes out each year. I’m at a bit of a loss as to why some are so concerned about how others spend their money. If I loved it and the money didn’t matter I’d bring one home today. To each their own. That said I’ll give it a spin along with a few others and pick my price point for buying. No, that driver may not be as good a year later as it was when it came out. So you wait a year for the price to drop. You are no longer getting a custom fitted driver for $499, in a lot of cases a driver off the rack isn’t the best option for you or your game. Every once in a while you get lucky with OTR clubs. So you go in and get fitted for this driver but that shaft you need is not the stock shaft, well tack on another $250 for the shaft up grade and you are now looking at $549 ordered from Wilson or more if the shop is doing the shaft upgrade themselves. Whenever the manufacturer is offering premium shafts for no upcharge that is big bonus because once that retail price drops there goes any no charge upgrades. sorry I was going to say assuming this club would drop to $299. This is a good looking highly adjustable driver priced the same as other drivers with similar adjust-ability. Pings drivers do not have similar adjust ability. I game the Ping. That said if this performs better then TM Titielst or other similar priced and adjustable drivers, I would buy it. If it performs similarly to other company’s drivers, I would buy TM, Ping, Callaway, Titielist before Wilson. Bottom line its got to be better or it won’t sell, if it is the better the price is fine. Go compare Wilson staff irons with all the big names and you will soon see they make excellent equipment. If this was a TM product no one would bat an eye at the price. Why do you think Rick Shields plays staff irons? Cuz they are that good. This driver will do well as kits a Wilson staff product…. No way, $500 for a Wilson. Let’s see the test results comparing Ping, TaylorMade, and Callaway. Sorry, I won’t pay $499 for a Taylor Made knockoff. For that matter, I won’t pay $499 for a Taylor Made, Callaway, Ping, Cobra or any other brand driver either. It’s just too much for one club. I’ll stick with my 2016 Taylor Made M2 that I bought (new) this summer for $179. I’m looking forward to seeing MSG’s testing along with others. My guess is this one holds it’s own and then some. And I love the grip and shaft options. But to your point the fact is most golfers wait until the latest and greatest start getting marked down. Why pay MSRP if you don’t have to? ANSWER: For some money is no object. Others are impulse buyers. They’ll get plenty of both out of the gate. It’s got rack appeal. And if they love the performance they’ll be walking out with it. Thanks for sharing that and here’s hoping those kids get off your lawn! Here’s the issue that I see with Wilson. $500 is becoming the norm for drivers. But for Wilson, they’re punching weigh above their weight here. If it was a driver that was designed in-house and proved to show some sort of performance advantage over competitors with premium shaft options or something to show the value fine. Instead they’re running a game show to design their flagship driver. As a consumer, if I’m told I have the choice between a club designed by what a company believes is their best R&D team working on it versus a club designed by some dude that came on to a reality tv show and they’re the same price, that’s a weird easy decision to make. Tim Clarke’s message is odd, “The goal of the show was to take a brand that was, at one time, viewed as not being in the premium golf space and improve that.” So is he trying to say he wants to make Wilson a premium brand? Then stop with this game show driver designing thing. Or focus on your actual R&D staff more than the actual one person that I have no emotional attachment to show me they have an actual edge on designing a better driver than company x. It’s a gimmick and will stay that way as long as they stick with the show’s format. Guaranteed $199 Cortex clearance in 6 months. I want to point out those Wilson R&D engineers worked with the designers at every step in order to make the club work the best it can. It is their work as much or more than the game show contestants. I completely understand that, my point is Wilson makes it a game show rather than back their product with numbers (a lot of times marketing for companies), legitimate testing, or lets be honest here, shovel money to tour players to “tour prove” a club. Optically to the average Joe out there this is a gimmick with the show. I’m not saying no actual golf club engineers helped make this club but instead my point is this might not be the best approach to try and become a premium brand. Similar example, let’s say Cleveland wants to enter the premium putter market. Instead of poaching some artisan putter maker out there, they run a contest involving random people, some with no golf background at all. You expect golfers to buy whatever comes out of that over a Scotty? This demonstrates to me why Wilson struggles to compete with the big 3. You don’t make your company a “premium brand” by just charging a premium price, especially when the product designer is a newbie. The OEM I respect the most is PING. They have the most forgiving driver (in terms of MOI) on the market, and they charge $400 for the G400 Max. What’s that tell you? The market is over served and established companies struggle with differentiating their offering from the competition. Entertaining show, but IMO this was a flawed premise from the beginning. The designer worked with Wilson’s engineers. The finished product is all but unrecognizable from what they started with. They took a concept and refined into what appears to be a club that performs wonderfully. Try hitting one before you dismiss it. Besides that it looks fantastic. A good starting point. I’m not dismissing the driver’s performance – I’m questioning Wilson’s strategy of selling a driver designed by a newbie at a premium price. I’d say PING has a substantially higher probability of success selling a driver for $500 than Wilson does, especially when the Wilson driver was designed by a newbie for a reality show. I’m sure it will sell as well as prior Wilson drivers. My question to Wilson is – Why do you think that golfers would be enamored with a driver conceived and designed by a novice? $500 is too much for my budget. Ping was at the range Sat and I hit the G400max out of site on 6 shots. I am in the market for a used one, budget is $250. I have a garage full of older drivers, makes no sense to purchase new. I love Wilson Staff, and have gamed many of their balls and clubs over the years, most recently The Wilson Staff Duo. Wilson Staff is on the cusp of something great, and I hope it works for them. I currently game a first gen TaylorMade M2, which I recently re-shafted with a Mitsubishi CK Red Shaft. With that adaptation for my 85 MPH Old Timer’s Swing it remains the longest and most forgiving driver I ‘ve ever hit. HOWEVER- I am always in the market for more distance as well as more forgiveness. Next week I will be going to a fitting and and trying the new Tour Edge EXS Driver (as I am a big Tour Edge Fan Boy as well) and Hopefully The Cortex in a side by side shootout agains my souped up M2. If things go as planned I will re-post the results with numbers, etc……..
Any bets this goes “on sale” before Christmas, for oh… $299? Say good bye to the no upcharge premium shafts at that price. Wow Wilson is getting killed on here for the pricing. I think it’s a very good looking driver and should perform well, let’s see how testing and reviews go. It sounds like they did price it too high given that people just don’t trust Wilson yet. As for the guys that want to buy a new driver every year or every two years I don’t think they mind dropping large money on a driver but it is going to be hard to get them away from the bigger names. I think they should have gone a little lower and get more out there in the hands of regular golfers. After reading the comments on the Cortex, it’s seems clear that $500 is way too much. This observation provides insight into the golf industry’s poor business planning. The green fees continue to increase to a ridiculous level. Managers leave their courses empty or almost empty, especially in afternoons, rather lowering green fees substantially. The costs to maintain their courses are the same whether the course is full or empty. Some players playing for lower prices is better than no players at higher green fees. Seems too simple. Look at the North American population demographics with relation to the ages of the golfers. People under the age of 50 aren’t playing because; they are still working, they have family obligations (spouses and kids), higher priorities for their earnings (food, accommodation, transportation, etc…), 5-6 hour rounds take too long relative to the previous mentioned priorities, and unfortunately I could go on and on. Bottomline Wilson’s clubs cannot compete unless they sell their clubs much cheaper than the big Five. Selling more less expensive clubs is better than selling a few at a higher price. Where the heck are you playing that rounds are 5-6 hours? Nothing in his remarks are remotely accurate. There is more maintenance costs with players on the course than zero, obviously he’s never managed a course and has no idea. I’m sorry if 5 hours is fast then the marshals need to get people moving. Nothing is more irritating than watching a group of people using their ball retrievers as fishing poles in the creeks and ponds. If I’m pushing 4 1/2 hours for a non tourney round I’m losing my mind. Its not that hard to figure out who is the bottle neck on the course, marshals should be doing their jobs and getting those groups moving quicker. Well Wilson did a good job with the show and a finished product but the Triton left a bad taste. $499, I don’t think so! They would have been better off to give it a reasonable price and sell the heck out of it if it performs well, and then position themselves better in the market for next year. But I think we should take a step back and wait for a side by side comparison against the big names. If it stands up to side by side testing, I’ll wait a year and get it on close out for less than $200. Wilson is trying to come back after the glory years on Tour, really hope they do, but the stigma is hard to overcome. Their tour staff are not the top guys, so it is hard to say they are winning a lot on tour. The price is just too high. I know they have to cover R&D and pay the guy that won, but the first DvsD was a bust. I would like to demo one but could not pay the price. I am a 72 year old retiree on limited income. All in all I hope Wilson does come back, I had a set of their blades back in the day and they were great. If they called it a Porsche 911 1/2 or a Maserati Messerschmidt I’d be interested in the “multi modal” (LOL), tinker toy approach to Wilson’s new entry into providing what should be simple tools to be used by and masterfully demonstrated by competent game “athletes” to be understood and taught by instructors supported by reasonable advertising and marketing BS – CF the 10 2 and 4 Dr Pepper “golf club of Lee Trevino in his early days of his career. Rather what seems to be proposed is a tool that is as complex for the hacker to understand as the flashing lights and myriad dials etc. of the Master Mechanic preparing NASCAR and Le Mans hopefuls!!!!! Instead, what seems to me to be anticipated is a “gismefwatchet” or other inane descriptors supplied by the insolence of Madison Avenue; a clear failure and an approach of complex manifold into a game that began with the simple wooden stick and feather filled leather golf ball – sometimes enlightened by a wonderful scotch elixir for sublimation and heat exchange during a match in cooler climes. Now mastered by athletes of considerable strength and ability that stand in the face “hit it like the pros!” claims of the veritable Fairway Hucksters! Maybe Wilson should look at the never ending saga of the F 35 joint strike fighter. How’s that workin! for ya USAF? – got enough pilots that don’t get lost in the “stealthiness” of it all. Allegedly the price has dropped under the current administration. Wilson, you should reduce the price to introductory levels until the average golfer is comfortable with it and has tested and understands it. $499 is a hefty price to pay for a potential Edsel!!! Or perhaps maybe even an F35!!! Big mistake on pricing and a missed opportunity given the press attached to this program. At $500 Wilson goes head to head with Callaway, TM, et al. with no way near the marketing muscle. At $400 they would have enticed many more to give it a try, make more money and perhaps establish a presence in the driver market. Yes it looks real nice but for 5 bills, don’t think so. If I was in the market for a new driver I’d be looking at the new Tour Edge Exotics driver for 3 bills. They’ve priced their drivers lower to grab some market share but their products are still just as good as any out there. I’ll test it out in the spring when the demo days start around here. I tested their 300 series and thought it felt pretty good but it seemed to lack distance. I am surprised that Wilson has this price on this club. They, traditionally, offered their clubs at a lower price point than many of their competitors. I think if they offered this club for $350 they might sell more than they will at $500. In one of the shows Tim Clark talked about one of the other designs becoming the “best close-out driver Wilson would ever have”. The Cortex might actually fill that bill!! I may look for a C300 or D300 on close-out!! There very may be more people talking about Wilson golf but I sincerely doubt there will be more people playing their drivers. Kudos to Wilson for putting real shafts in them as opposed to crappy “made-for” versions. Sorry, weather the shaft cost Wilson (or any OEM) $5 or $200 none of them will put a shaft in a new head that will not work with that head….Read that statement 5 years ago by Bernie Adams talking about shafts and his original Adams Golf. The final product looks fantastic. Looking forward to my winter PGA Superstore testing day. It’s on the list. MGS is spot on. Wilson is rebuilding their golf brand. The younger generation can’t recall them being the titan they once were. My guess is they will soon enough if Wilson sticks with it. That said I’m somewhat surprised at the volume of negativity in the comments. #1 appears to be release price. Who pays release MSRP for anything? ANSWER: Those that money is no issue for and impulse buyers. They’re out there. In bigger numbers than most would guess. Retail 101 is to maximize your margin at release. They’re not expecting volume sales out of the gate. The Cobra F7 2-3 hybrid is my lone MSRP club. For the simple reason the 2 hybrids always go fast. Especially in R flex. Good luck finding it now. Feel free and search. My 3-4 is arriving today at $99.96 with free shipping. Patience Grasshopper. Patience. My other thought on the process was the evolution of the clubs. The final two designers were completely open to constructive criticism and input. As a result their drivers continued to improve. Rozwell’s numbers got quite the bump in the previous episode. While the final tweaks clearly put Cortex over the top. Especially on forgiveness. Which is huge as no one squares it up every time. Which brings me back to Jimmy and his Magnus. The early run away leader in overall performance. Even those that hated looking down at it couldn’t argue with the numbers. He listened to no one. And as a result the others passed him in performance as well as eye candy. Can’t help but wonder what kind of numbers it could have produced if he opened his mind. The young man is very talented but obviously not a team player. My final thought being the Cortex could well be what the judges saw coming out of that pair that refused to team up in earlier episode. I recall them saying they thought it could win. It probably did. I’ll wait a year and look to buy in then at $200 of less. Honestly I purchase a new driver every year. I’ve laid money down on newest TaylorMade, Callaway, Titleist, Ping, Cobra, Cleveland, Bridgestone, Mizuno, PXG, Srixon drivers for years. There is no way in hell i’m purchasing a Wilson driver. I’d game a Tommy Armour if performed the best for me. That said I’m still gaming an 8 year old FT-iz tour. Ground breaker at the time. A couple of contenders gave me a few more yards but I couldn’t work the ball left and right, high and low as easily. How well the tool works for you is all that matters. And frankly it out drives the latest and greatest on occasion. Being swung by guys with 5-6″ on me. Hey! easy on the Tommy Armour bashing. I was at Dicks last week just looking around and noticed a neat looking set of irons GW-#4. They were on sale for $299.99 and There was a $50 off $250 coupon. Just for kicks I went to my car and got my “go to” Callaway Steelhead XR 7 iron. I love my Callaway’s. I ask the salesperson if I could compare the two side by side and he said sure. I believe some of the simulators are jacked up to show distances which are a little off base but comparing two seven irons would give an accurate difference in distance. Here we go….I stretched and warmed up with my Callaway and once I was comfortable with my swing I took a little break and then I started the comparing. I hit about twenty balls with each club and guess what? My Callaway performed well as I expected. 150 yards and then I hit the Tommy Armour. 150 yards was very “easy” I even jacked a few about 162 yards without falling out of balnce! The best I could do with the Callaway was about 157 average distance gain from the Tommy Armour was between 4-6 yards!. I then took the GW over to the putting mat to see how it felt chipping the ball. It felt GREAT! the first one went in the hole from about 10 feet. The TA-1’s felt really smooth, had a very quiet sound and as smooth as any I have every played when hit in the sweet spot. Oh…The TA-1’s have a very nice KBS Tour regular flex steel shaft. To wrap it up. I purchased the Tommy’s for $249.00 with the coupon. YES ……I said $249.00 Unreal! The sales person who watched me hit them said he was buying a set as a few other employees did. The two guys I talk with, one being a pro said they are very solid irons. If you are looking for a iron the is long and straight with a hint of a draw you might want to give the Tommy Armour TA-1’s a chance. Also they don’t look big and bulky like a lot of “game Improvement” irons. And for the low price there is not to much of a risk if you end up not liking them on the course. Again, the price is just insane! Wow ! $500 — you got to be kidding me . 14 handicap – senior Tees — still looking for that Tee shot weapon. The market is — Driver that goes 230-250 yards off the Tee every time ( direction is the golfers own responsibility ) – That , my friend would sell ! I don’t think they will sell very many at $500. Wilson just don’t have the brand awareness & the pedigree to charge that price. Especially since everyone knows the Triton was a flop & sold for way less than the original asking price 6 months after release. There is absolutely no way that I would ever purchase a Wilson driver for $499. If this driver is going to be so good, I need a little more convincing than a reality TV show and Kevin Streelman can give. Let’s see how many tour pro’s and top amateurs Wilson can get to play this driver. $499 for a Wilson driver? LOL, but I would be open-minded to give it a try, but I never seem to see a Wilson rep or Tour van show up at my golf club like Callaway, Ping, Taylor Made, Titleist and Cobra do. I wonder if Wilson could have trimmed anything off that $499 price tag if they didn’t have such a fancy display piece. Good luck Wilson. For $499 you should throw the Triton in with it. Enjoyed the show, but to rich for me. Drivers cost to much today. Wilson made some of the best irons, and woods in the 60’s. I had the irons with weight in the toe area. If all drivers came down in price I might buy one if I am fitted for it. I have never seen so many mixed sets of clubs today in the bags of the average golfer. Lets lower the price’s of all clubs. This is the reason golf is fading away ,too expensive ! fees,equipment, and etc…If it wasn’t for TV it would really drop off..
Let’s be honest. $500 for the best fit driver for your game would be nothing no matter who makes it if the numbers are the best results for you. That said some people fill their bag on a budget and will by last years driver for $300. The issue is buying the cheaper driver off the shelf may have you buying one every year until you hit the lotto of drivers by accident. Pay the fitter to find you the best equipment for your game and keep it for 5 plus years and you will save more money in the long run. When I got fit for irons 14 years ago for the first time I was a label whore and asked the fitter to tape over the backs of the clubs so I couldn’t influence my choice. I ended up with KZG ZO blades. I never heard of the company and yet they lowered my handicap by 5 strokes and lived in my bag for 13 years. They were more than I wanted to pay going in but they felt like butter and I had to have them. Best decision ever. For get the price and the hype! Get fit and get better! I love how much people are bashing this driver with out even testing it. Saying this doesn’t have any new technology and what not. No, not new tech but proven tech that works. The only new tech in the last few years has been “jail break” otherwise every other OEM has carbon crowns, movable weights, speed channels and some fancy variation of titanium alloy face. I give them credit for trying something out of the box in having a design competition. I do believe Wilson missed the mark in pricing this at $499(trade standard anymore) I feel if they could have come in a little lower more people would be willing to try it when selecting their next driver. Its a good looking driver no doubt about, can’t wait to see what MGS has for testing data. Agreed. Wilson has been putting out some outstanding top performing irons lately. Though I’d call the Cortex tech improved. They’re making up ground with their drivers. And you can see elements of the Triton in their latest designs. Shiels was quite impressed with the C300 sound notwithstanding. That’s been solved with the Cortex. It’s going be interesting to see what they come out with in the next 5 years. Their engineers have had a lot new ideas tossed their way and been able to tinker with them. If they get a top 5 player my guess is their market share will increase in a hurry. TV time matters. Seeing a Wilson bag over and over again would go a long way. Loved Wilson’s FG tour V2 irons, if I could find a mint set today I would buy them up in a heartbeat. It will be very interesting to see the results of testing. I honestly hope this driver out performs the big boys so I can watch peoples heads explode! I used to have a well mixed bag of clubs until recently, Srixon has been my main squeeze as of lately, but I wouldn’t count any brand out until I’ve at least tried them. $150 max in 12 months time. How to sell a new golf club. You need to get the club in the hands of the average golfer. How do you do that? First cut the price of the golf club to below any new golf club on the market. Second visit some golf courses where low ball is played and hand out several of the new clubs free. Have a drawing. Once the club is out to the public and it performs as advertised the demand will grow. Then you can increase the price of the club as per demand. So you put several hundrend clubs out, so what is that cost to Wilson, peanuts. No matter what publicity they hope to drum up with that ridiculous show, Wilson is simply NOT a PREMIER golf club maker and no way in the same category as Callaway, Titleist, Cobra, Ping or Taylormade. The last Wilson Titan driver was down to $119 from $400+ in the same season, so that should set the pace for this one. This driver is unproven, won’t have any acceptance on the PGA tour, except for Wilson’s paid staff and therefore will be in the huge discount bin in under a year. Just a huge amount of marketing fluff for nothing. I could never get interested in even trying a Wilson Driver of any kind versus what is in the market right now. This gets a big “F”. You are so wrong in saying that Wilson doesn’t make a good club. I do agree with you that I wouldn’t spend $500 really on any driver and I’ll wait a year or less before I buy anything. That said, I just bought a set of nearly new C300 Forged for around $300 on eBay, but had also bought a Callaway Rogue on Ebay for less than $200. There is no club in the last probably 10 years that lives up to the distance hype without jacked up lofts. It’s all marketing. I’m a club junky, and the best new irons that I’ve hit recently are the Ben Hogan blacks. They aren’t marketed except from word of mouth, but any club would be a hell of a lot less without massive advertising and tour endorsements. Absolutely disagree saying they are not a premier club manufacturer. You are simply mixing up them as not having a huge marketing budget or tour presence. Do you think all of the TaylorMade players would play TM if they weren’t sponsored by them? I had TM Rsi1’s and the hozels AND inserts all came out!! My TM 2016 3 Wood snapped an inch up the shaft (A TM “made for” shaft) – utter garbage. I now play the Wilson V6’s and they are SUPREME and I hit them alongside ALL the equivalent clubs from all of the big spending manufacturers!!! I can assure you Wilson are a PREMIER club producer the V6’s are testament to that (I believe Jon Rahm played Wilsons as an amateur also)………. Saying that most folks won’t pick the Cortex up at $500 because like you they don’t see Wilson show any presence and assume they are an unfashionable, non premier brand. A shame. Perhaps they need to change their business model and throw some serious money at it? As a Wilson M3, F5 and Triton owner, I find it completely nuts that someone would drop $500 on a single club. I mean, you can get fitted for so many great drivers under the $300 mark right now, it’s scary. In fact, I still say that last year’s winner for about $100 is the best deal on the planet at the moment. That said, if the Cortex fits me better than the Triton, I would put it on a list of clubs to be fitted for – then wait until it goes on clearance next year to get it. I don’t have an unlimited budget for golfing, so I think my cash is better spent playing with what I have rather than spending that much for a few extra yards. Unless and until Wilson has success on at least one of the major tours, they cannot expect folks to buy in at top $$ … The D vs. D series was interesting, but it also showed they are far more about trying to get in line with accepted norms with the winner they chose … I’m not saying the #3 (Magnus) was the absolute nuts, but it WAS unique and at least the technical equal to each of the finalists, consistently producing the highest smash factor(s) . As several of the Wilson staff members noted, if it produced the numbers (and it appeared to), people will buy it … Golf equipment in the 2010’s is a hella tough business that requires more than a passing commitment for long term success. Many serious golfers and equipment buyers look at Wilson’s in and out of the business over the decades and rightly question if they are in for the long haul. 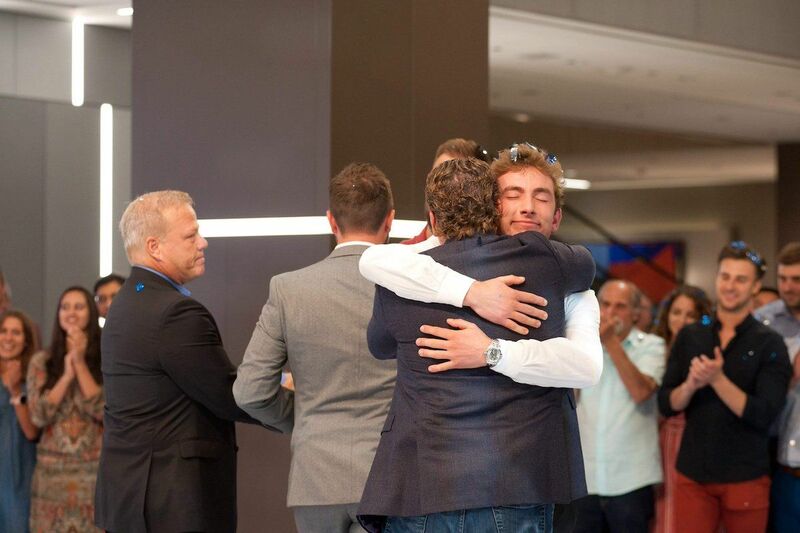 Congratulations Wilson, you invented the Taylormade M1 Wilson edition. Cobra F9+ $279, Rogue and Epic for under $400, any Taylormade M series under $400 no way this Wilson will sell for that price. I think you’re mistaken on the F9 price, and there is no + version of it, just F9. I know I’m cheap and don’t like to pay full price. I don’t know if I’m like most, but I have 3 drivers now. If there was a $100 trade up discount, I would seriously consider spending money on a new driver. Will this new driver give me back the 40+ yards I lost to age? I doubt it so it won’t find a home in my bag. Interesting comments here. I don’t think any single Golf club is worth 500 Bucks, especially the “Big 5”. But obviously the Millions they spend to convince you that you have to have it is well worth it. Gain 20 yds with our Driver, right, uh huh. Also the “writer” in one sentence said that for 500 Bucks you can get a premium Driver with a real deal shaft. The next paragraph he said you can have an upgrade shaft for no charge, now what is it, you can or can’t. I know you can and Wilson is the real deal, it is not a designer thing that makes a player look like a Golfer, but stuff that works and works well. Pretty much everyone needs an editor – even “readers.” It says no upcharge options, not upgrades. Had to read it twice myself! I’m looking at the new Tour Edge EXS driver. Lots of tech and at $299 it’s worth a try. 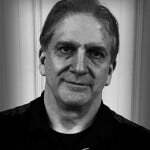 David Glod said that the reason for the price is he doesn’t have to pass along the price of Tour sponsorship to the us. I just bought the EXS and it’s awesome. Please publish the numbers for the C300 and D300 along with the Cortex when you do the test and article. Got a feeling they won’t be that different. Please also test it side by side against the $299.00 Tour Edge. Then I guess he didn’t really want a career in golf club design, did he? Maybe he figured out what Nike realized….golf equipment is a long term loser…. It will sell at that price IF Wilson’s tour players put it in the bag, start winning with it, or at least significantly improve their driving stats with it. exactly. If their drivers aren’t good enough for their players no one will buy them. I am more interested it the fully adjustable Tour Edge Exotics EXS @ $299! I’m willing to bet my next paycheck that every guy here who says “$499!? No way! !” Is the same guy who spent more on his ball retriever than any club in his bag. Wilson tried $450 for Triton and in less than 9 months was offering it for $89. Might the same thing happen to Cortex? There isn’t a chance I would even go to a golf store to look at a Wilson driver priced at $499. Ping makes a G400 Max that is top rated and fabulous and they sell it for $100 less. Ping is a golf club company. Wilson sells golf clubs and baseball mitts and footballs. I don’t need a football maker manufacturing my driver and certainly not at $499. Not really a fair argument. Obviously, you’re not mentioning Mizuno in the “sports” manufacturing. Ever wear Mizuno running shoes? Best out there. Mizuno bats? Mizuno gloves? How about a set of MP-32’s? Butter. Not bad for a sports manufacturer. I switched to Wilson FG V6 last year, from playing Mizuno irons the past 18 years. If the Cortex “performs”, the I don’t care who makes it. As there are legitimate shaft options, it may be worth the time to try it out against a few others driver and see if it’s a good fit for you. Mizuno makes most of of those things too and I have bagged many of their clubs. They make the best forged irons on the market in my opinion. The JPX900 is my currrent driver. Not defending Wilson quality but, your reasoning is a bit weak. G400 is now $300 rogue just had a price drop. I seriously can’t see this driver out performing my g400 lst which is $200 cheaper. One of the host on the show “Rick Shields” said their last driver was not up to the standards of the industry leaders. And TXG just did a review on there latest offering and said it was not up to standards. So no, I would not pay premium price for a second tier company. The trust is just not there. I don’t recall TXG saying that all. They were quite impressed with Wilson gear. What they didn’t have was a connector to test the driver with anything but a stock shaft that didn’t fit him as they don’t carry the brand at this time. No driver that costs 25 dollars to make is worth more than 100 dollars. If idiots that never practice or take a lesson would stop buying them the prices on drivers would come down !! You cant get a major foundry in China to make a quality head, with plasma welding, etc for under $25 not in adjustable weighting, carbon fiber hood etc that Wilson head cost about $65 and the Atmos shaft is what? From someone that works at a major OEM, you are very wrong. Outside looking in, I can understand WIlson’s pricing. As soon as you get Carbon involved the price goes up a great deal. This is why the Rouge doesn’t have Carbon on the sole, unlike the Epic. First, let me say two things that are positive: 1) This is a nice looking driver, and its features seem to make sense and are intuitive enough actually to use, and 2) There are MANY truly good drivers out there–going back about fifteen years, I would say at least 20 for my little nitch market (old man, senior tees, good athlete). That said, I won’t ever pay more than $100 for a driver or putter, and I’ll have wonderful equipment and lots of fun. The driver is interesting but nothing new on the tech. I don’t think it will sell for that price. Probably a good driver but not any different than the others on the market. I really like Wilson products in general but expected more. The driver is likely as good as any from Cally, TM, Ping, etc. However, it will not sell at retail because the sales people in stores will never push it. Big box or medium box, or on-course shops, the orders for Wilson clubs are few and when you go in to get fitted, the sales people never bring Wilson out. So, to sell, it has to come from consumer demand. The retail outlets will not help Wilson. It’s a tricky price point. Can’t be too low so that they can break brand perception but at $499.99 you are saying to the public it’s as good as what’s on the market now and we are delivering an equal product. Initial release buzz will probably sell some but what happens when the leaders release their new stuff in 2 months. I don’t think Wilson raises their market share with this addition. Wow. Looks like they copied allot of Taylormade with the sliding weight and the instead of two moving weights he just put different weighting based on swing bias. Fool me once shame on me, try to do it again that’s on you. No way I’m buying another one of those homemade Turds! 5 bills for a Wilson driver? Um NO! Seems like Wilson is just trying cover their expenses for the show. No new technology here. No additional weights? Only draw or neutral bias. There will be a bunch of people inspired by this and drop that kind of money initially, but it will fade out 10x faster than any other OEM. Wow ! Another 500 dollar driver that won’t be in my bag. my guess is this Driver is as good as any Driver out there when paired with a shaft that fits your swing. Wilson is pricing it at 499.99. This tells me they think it is equal to the big five. 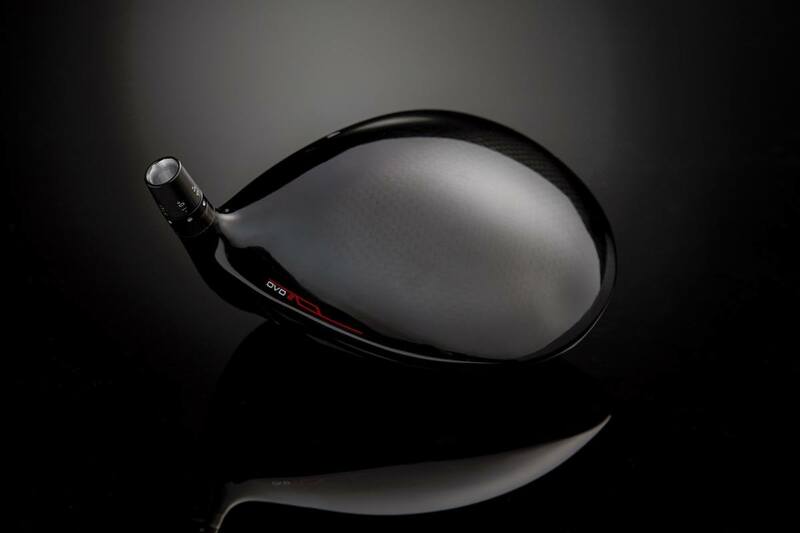 Would 549.00 make the statement for Wilson that this club is superior to all other conforming Drivers? Cmon Wilson, hang it out there. People do tend to think along these lines when it comes to $$$$$. Great idea! No chance a Wilson driver sells for the same as Callaway, Titleist, and TaylorMade. $350 or $550. I think you nailed it! I was sure the winner was busted in the first or second commercial break with a 30 second spot for the Cortex….doh! I play Wilson Irons C200 and the Triton (bought after price was lowered). I will test Cortex but will wait for price to be reduced. 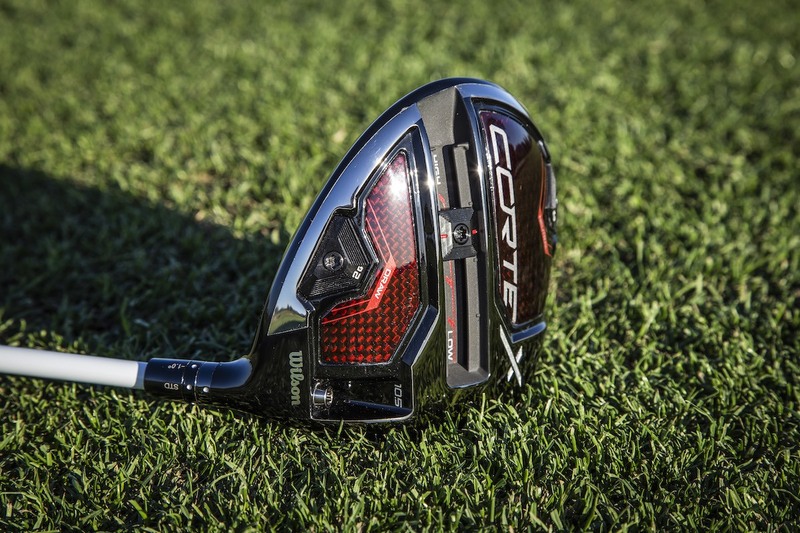 If the Triton is any indication, wait 9 months and this driver will drop to $89.